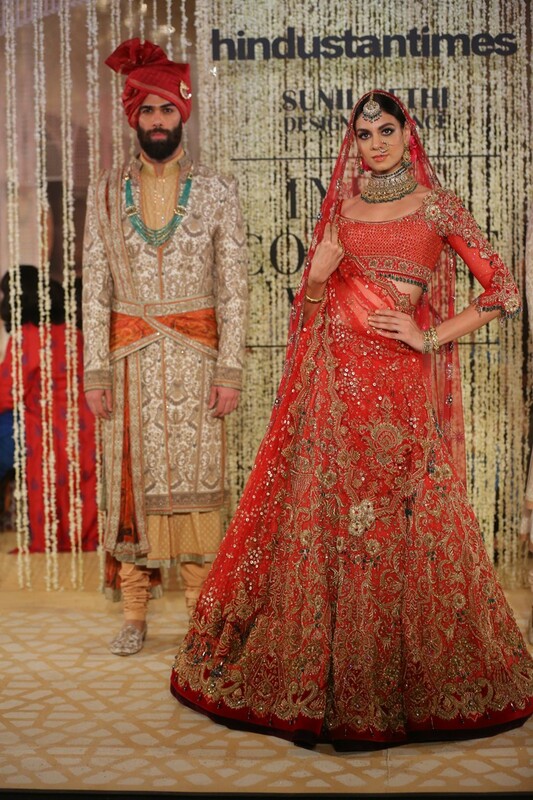 The collection showed classic Indian styles and embroideries, and exemplified an India Modern aesthetic. 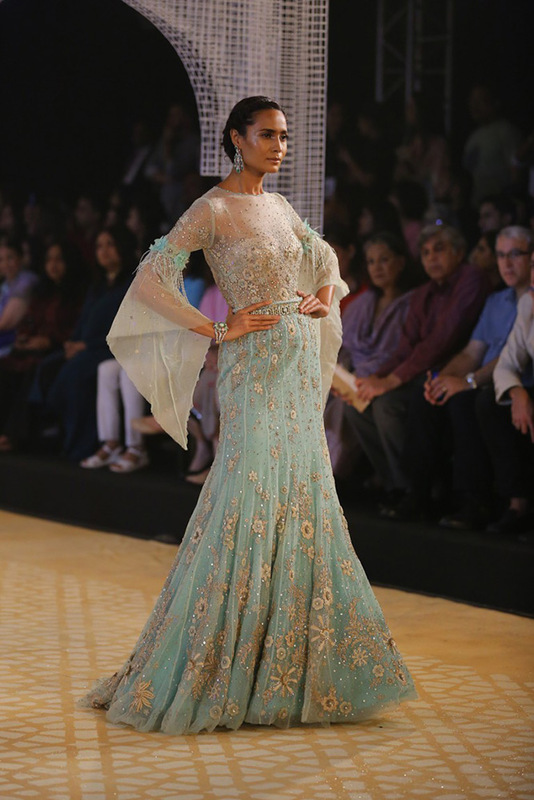 In the structured lightness of every drape is the embodiment of a new voice of tradition. 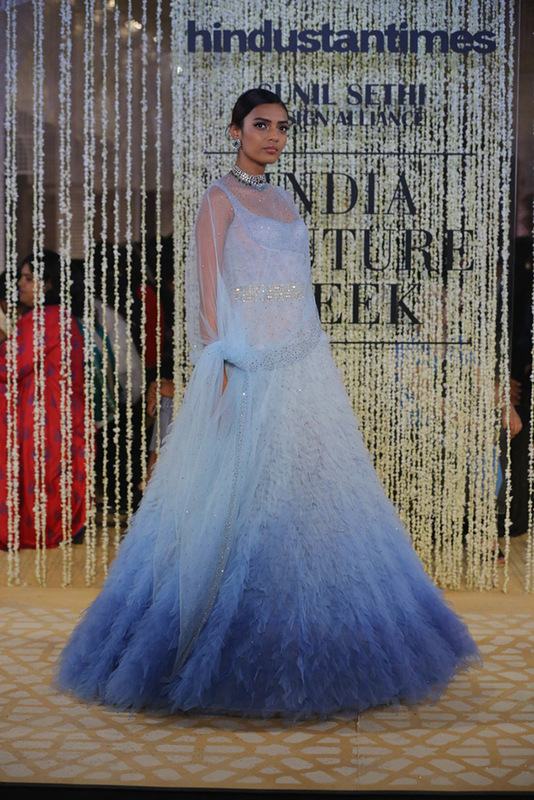 The silhouettes were delicate even with intricate craftsmanship of an atelier in pursuit of lightness.Tarun Tahiliani used layers of Swarovski-encrusted embellishment on fabrics like hand-knotted lace, Italian tulle, French lamè and sheer silk . 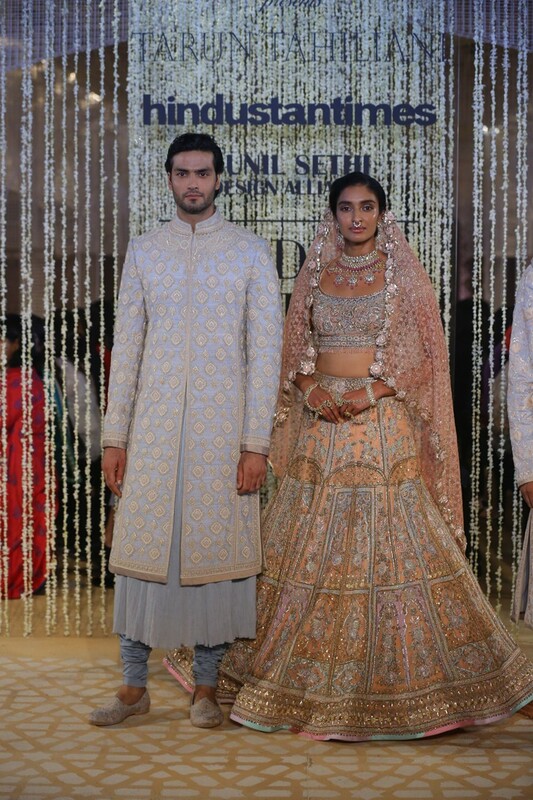 He used classic Indian embroideries of zardozi, ari, gota-patti and chikankari in their traditional forms and innovated to anchor the ethos of lightness. on the innate buoyancy of crinoline that finds itself raised to new heights of structural engineering. Its form perfected to define an accentuated Indian silhouette that hugs the waist and cascades into structured gathers that settle intuitively into collapsible, concentric rings. 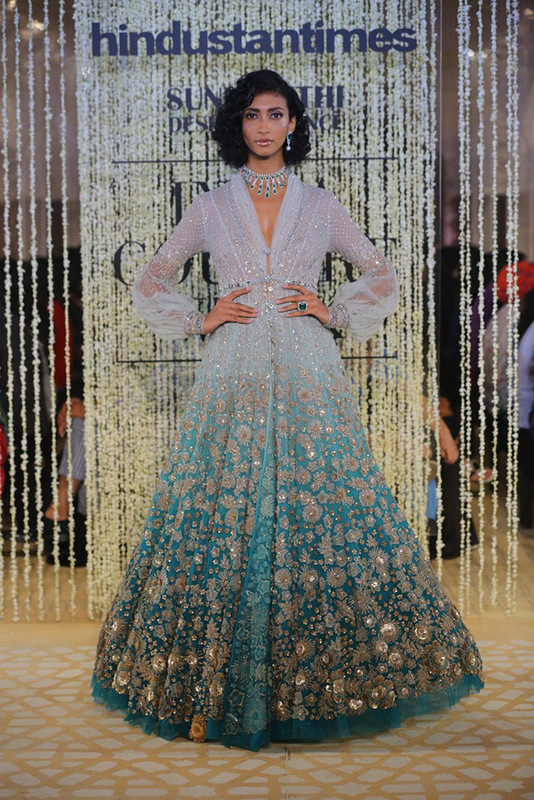 This weightless under-structure is then wrapped in swathes of airy hand-knotted lace, Italian tulle, French lamè and sheer silk as classic Indian embroideries of zardozi, ari, gota-patti and chikankari are elevated from their traditional forms and innovated to anchor the ethos of lightness. 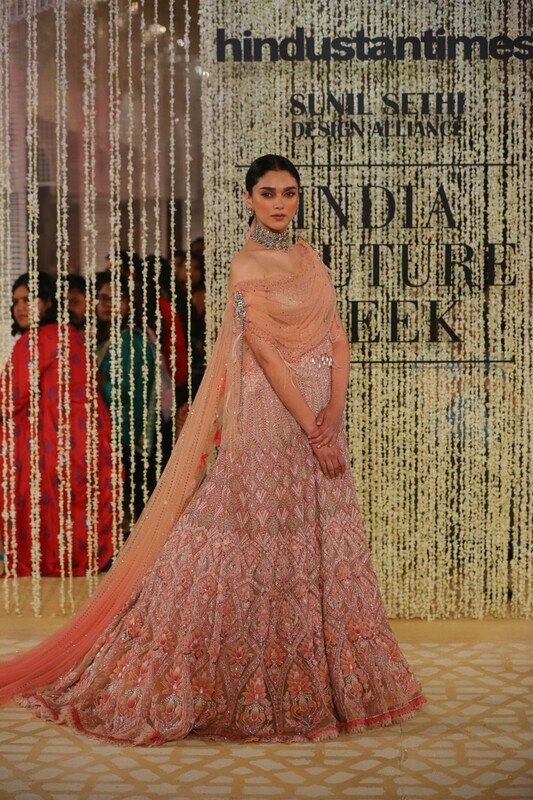 The show was mix of Tarun Tahiliani Couture & Occasion Wear ‘18-‘19 , and showed vivid bursts of three-dimensional florals span the collection in the innovative crafting of ribbon-twisted organza, chiffon couching, twisted sheer silk, laser-cut textiles, and detailed applique – each panel of bridal and cocktail lehengas, concept saris, gowns, jackets, and modern saris layered in multi-dimensional detailing. 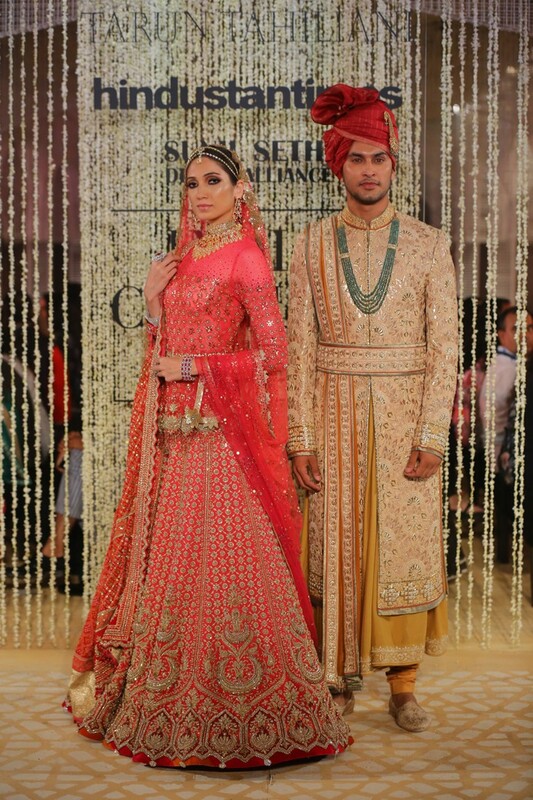 The collection is for today’s global Indians, one who proudly carries a rich heritage into a modern way of life. 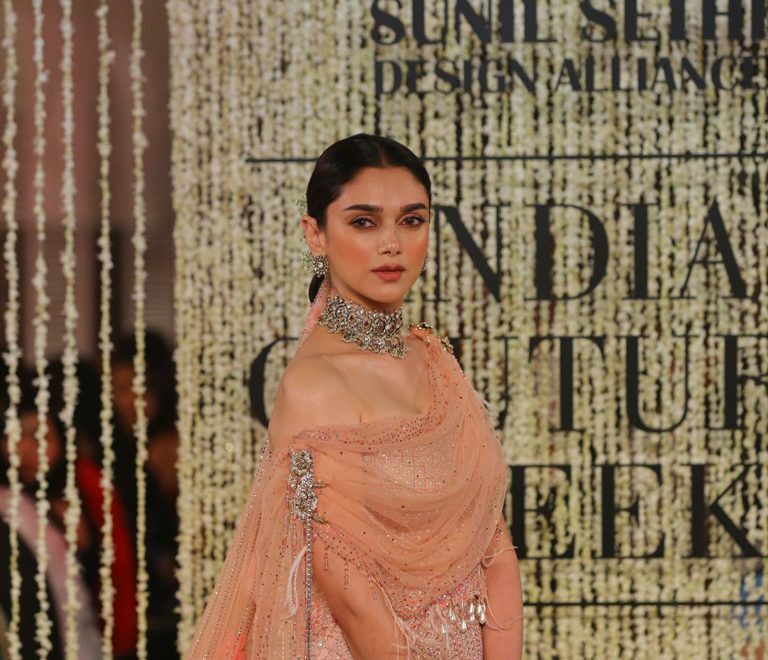 Bollywood actress Aditi Rao Hydari was the showstopper. Jewellery by Shri Paramani Jewellers.